At the end of September, Gov. Bill Haslam announced Tennessee Department of Mental Health and Substance Abuse Services Commissioner Doug Varney would retire in October. The following week, the governor named Marie Williams as his successor. Varney, who was appointed to his state role in January 2011, oversaw numerous efforts to address behavioral health and addiction challenges, including increased vigilance surrounding prescription drug abuse, while also working to integrate behavioral health more fully into the continuum of care. 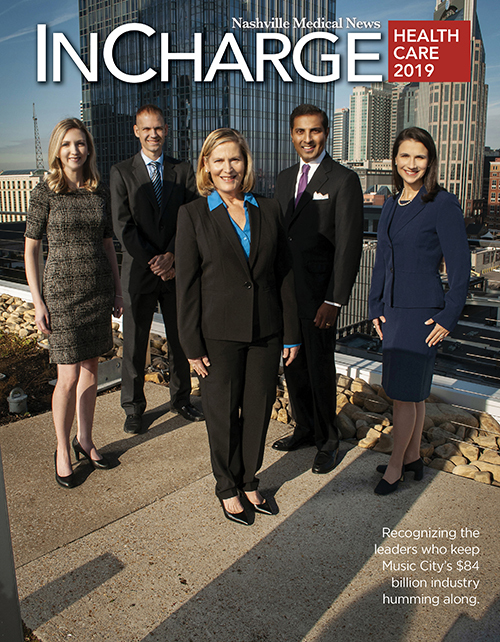 Under his leadership, the department transformed the mental health system in East Tennessee to focus on better serving long-term patients in a community-based setting, tripled grant funding to assist veterans, increased suicide prevention efforts, established best practice guidelines, strengthened adult and children crisis services, and improved medical and business operations of state hospitals. "Doug's passion for helping those with mental health and substance abuse issues has made a tremendous impact on the state. As a member of my Public Safety Subcabinet, I especially appreciate all he has done to help fight prescription drug abuse and expand and strengthen drug recovery courts in Tennessee," Haslam said. "Doug has helped change the lives of some of our most vulnerable citizens, and for that I am grateful." Prior to his appointment, Commissioner Varney was president and CEO of Frontier Health, where he began his 35-year tenure with the northeast Tennessee behavioral health provider as a psychological examiner, counselor and therapist. During his career, he has served on numerous boards including the National Association of State Mental Health Program Directors and the National Research Institute, which collects and analyzes behavioral health data. 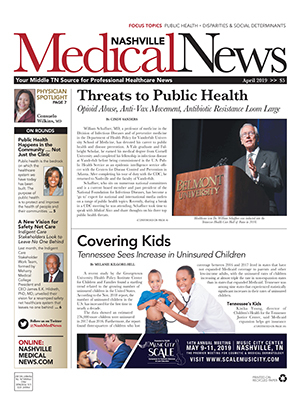 Varney is also a past president of the Tennessee Association of Mental Health Organizations. Varney, whose last day was Oct. 21, holds a master's degree in psychology from East Tennessee State University and was formerly licensed as a psychological examiner, marriage and family counselor and professional counselor..
On Oct. 22, Marie Williams took the reins at TDMHSAS. Commissioner Williams has been with the department since 2000 and has served as deputy commissioner since 2011. In that role, she directly managed the department's daily operations and budget and worked closely with Varney on major initiatives. Williams also helped create the state's Prescription for Success strategy, which takes a multi-pronged approach to addressing prescription drug abuse in Tennessee. Prior to her appointment as deputy commissioner, Williams served as assistant commissioner of Mental Health Services. Under her leadership, the division implemented a safety net program for those withdrawn from TennCare. She also developed the award-winning "Creating Homes Initiative" that has already resulted in more than 13,500 supportive housing options for Tennesseans diagnosed with mental health disorders. The initiative allows individuals to live in and contribute to their communities in the least restrictive setting possible. "Marie's passion for helping the mentally ill, the homeless, and those with drug and alcohol addictions inspires her to create innovative, high-impact programs that make a difference," Haslam said. "Marie has the experience and the drive to continue the progress made to help some of our most vulnerable citizens." A licensed clinical social worker, Williams holds a master's degree in social work from the University of Tennessee and an undergraduate degree in psychology from Austin Peay State University. She is the co-author and creator of the professional publication, Out of Poverty, a group-based peer and mentor training program to help people escape the cycle of poverty that is currently being implemented in communities across the country. 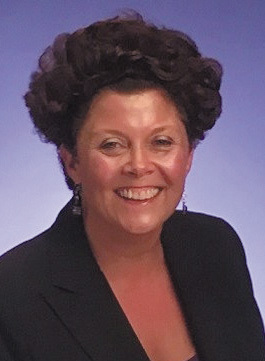 Prior to her employment with the state, Williams worked in Memphis and served as director of homeless services for Catholic Charities and led homeless services at the Midtown Mental Health Center. She has also served as a Community Builder Fellow with the U.S. Department of Housing and Urban Development. "I am honored and grateful that Governor Haslam asked me to join his team as commissioner of the Department of Mental Health and Substance Abuse Services and look forward to continuing the transformative work that started under his and Commissioner Varney's leadership," Williams said. She added, "Our great staff will continue to work in partnership with our state agency partners, community behavioral health providers, consumers and family members to create paths of recovery and healing for Tennesseans struggling with substance use and mental health diagnosis, ensuring that we provide the right treatment at the right place and right time through low-cost, high-impact programs."